Kermit Lynch Wine Merchant, Berkeley, CA. Carmine. Savory with a fragrant delicacy, a seamless fondue of saffron, quetsch, blood orange, morel and veal demi-glacé. 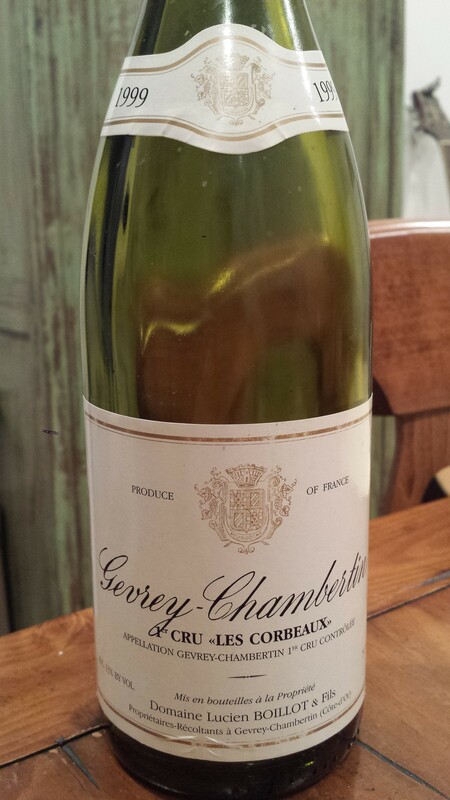 Quite companionable for ’99 Gevrey 1er cru! Silken textures, with nuance and saline touches at the end. An appetizing Corbeaux. Now – 2020.